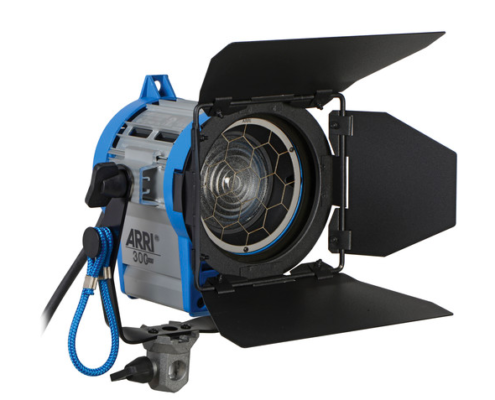 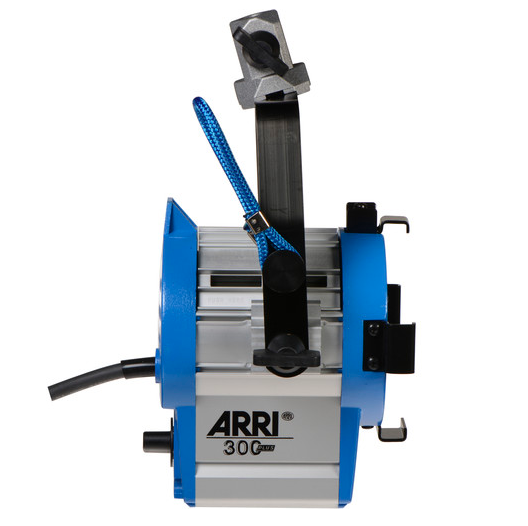 The Silver/Blue 300 Plus Fresnel from ARRI is a 4 lb, 9.17 x 8.7 x 6.3″, 300 W fixture with a versatile 3″ Fresnel lens. 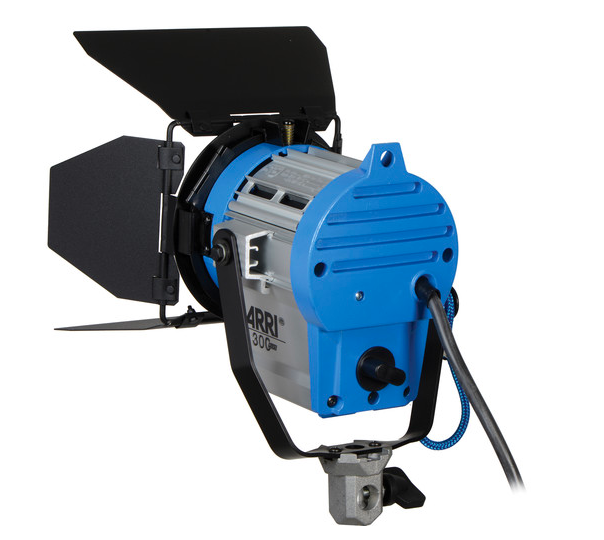 With a spot-to-flood range of 15° to 49°, it allows you to pinpoint hard light on your subject or wash it in a soft, wide field of light with a simple twist of a knob. 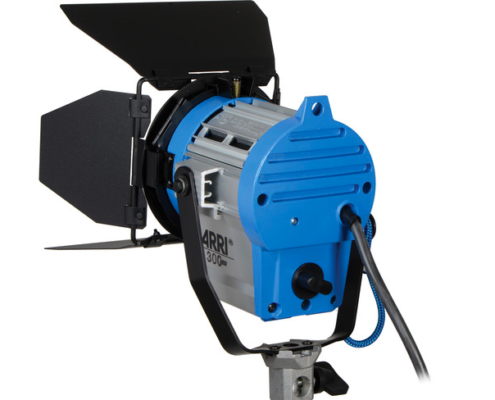 Separate purchase of a 4-way barndoor permits further control of the beam, allowing you to direct the light where you want it and keep it from areas that you don’t. 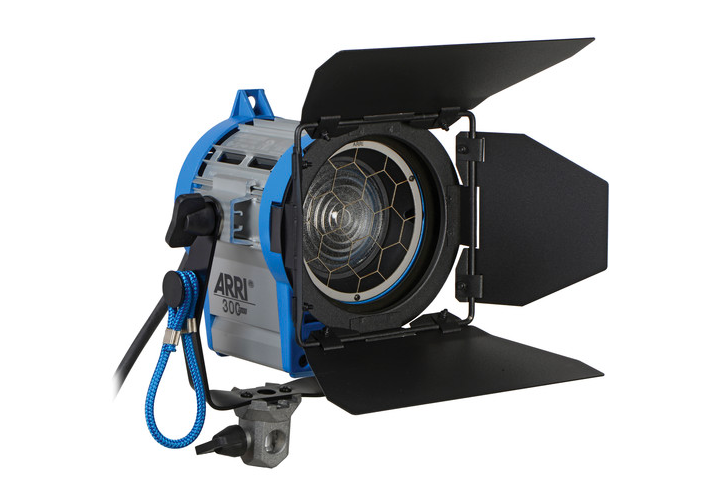 The 300 Plus Fresnel accepts optional 120-240 VAC lamps such as the FSL or FKW that are 0-100% adjustable with an external dimmer and ready for worldwide use. 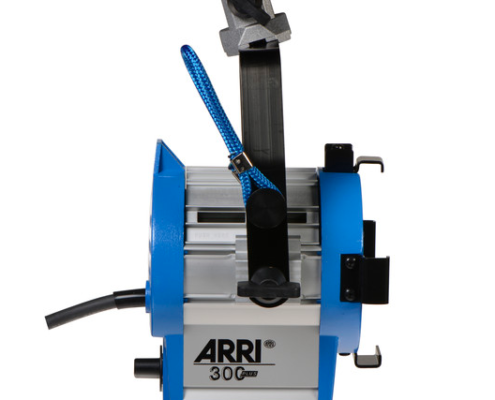 The 300 Plus Fresnel’s yoke has an integrated 5/8″ receiver for mounting on stands or accessories with a 5/8″ stud or spigot.